My name is James Smith, I am a serving member of the Royal Navy and a Chief Petty Officer Medical Assistant. I was born in 1972 and fast approaching 17 years served. So as you can guess I have a lot of experience of Naval life. 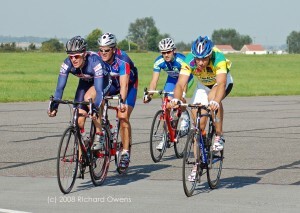 During my spare time I am a Category 1 racing cyclist and am also the current South West champion. More on that later. I am currently serving at HMS Raleigh in Torpoint Cornwall a beautiful part of the world. HMS Raleigh is the basic training facility for the Royal Navy recruits. Basic training takes 9 weeks and although ardous is also life enriching and changing. So as you can probably work out for yourself I am pretty proud of the Medical service we offer and in my personal opinion it is as good as any private medical care you can find in Civvy Street. Anyway that’s enough from me for now, next time I will tell you all about my sporting life within the service. This is my first post to the Jackspeak website. I have recently joined HMS Raleigh here in Torpoint Cornwall. This unit is our basic training facility where we transform civvies into sailors in a busy 8 week period. I have been in the RN for 16 years now and am still as busy and as challenged since I started all those years ago. I originally come from the valleys specifically Tredegar my family still live there. Anyway all that stuff is on my profile, I thought I would let you know about my latest cycling achievement although I am not a professional I race at one level below. I recently won the South West Circuit race Championships which is only a short one hour race. I have attached a pic above for you to have a look at.